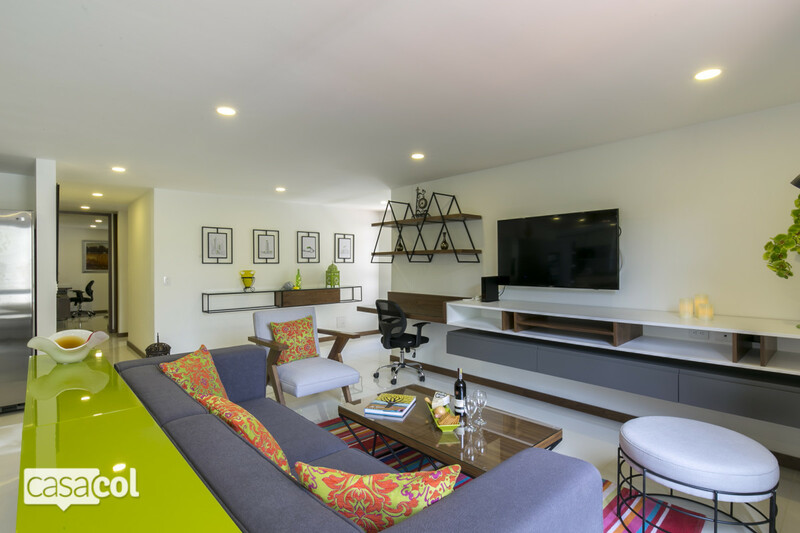 Completely renovated, newly furnished modern apartment tucked away in a natural paradise in sought after and safe area of “Milla de Oro” (The Golden Mile). 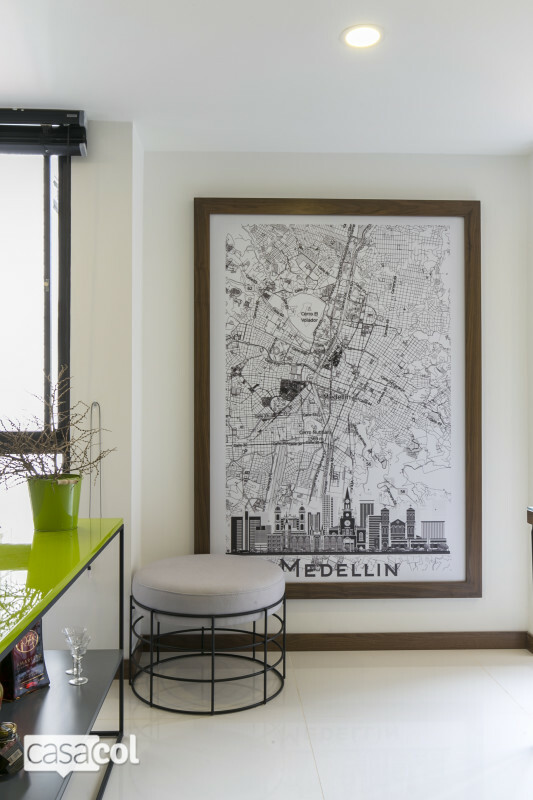 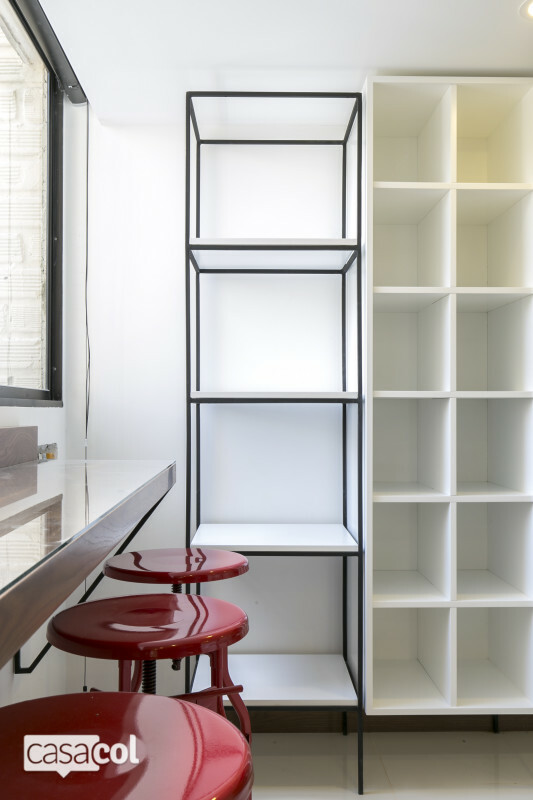 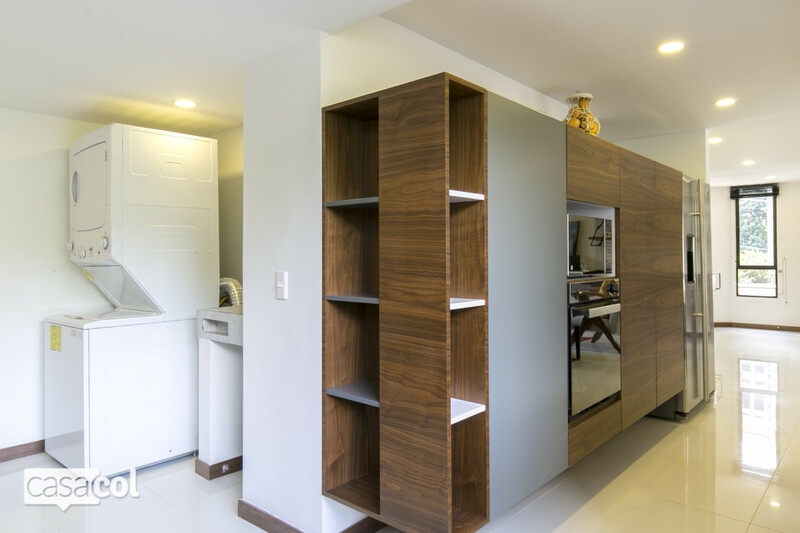 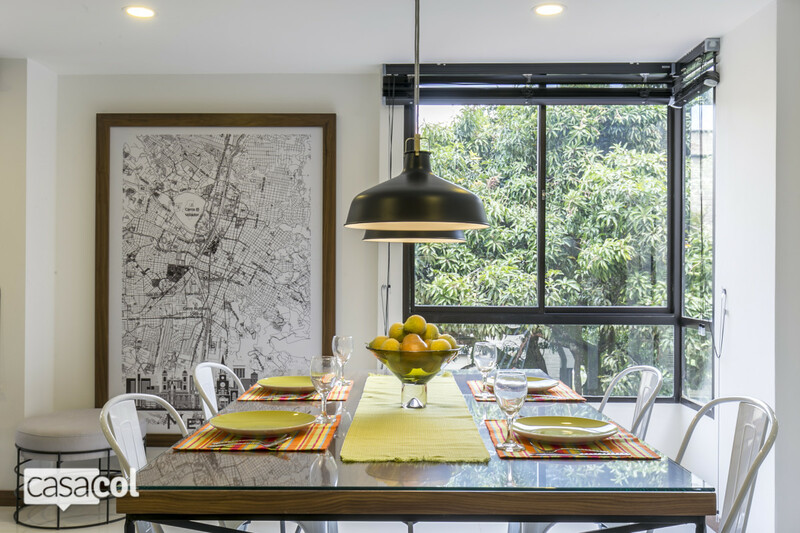 This luxury apartment is located in Medellin’s premier office, financial, and shopping district. 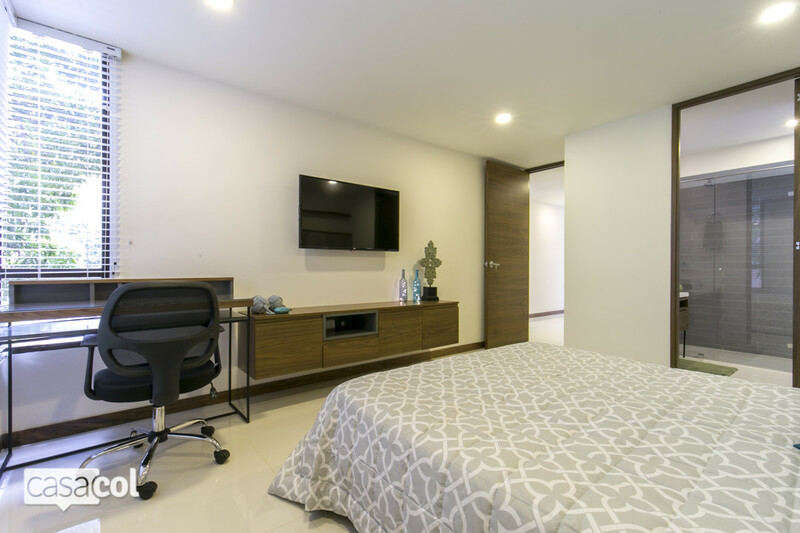 The location allows for a quick walk to work if you are here for business or to Medellin’s most upscale shopping including Oviedo and Sante Fe malls. 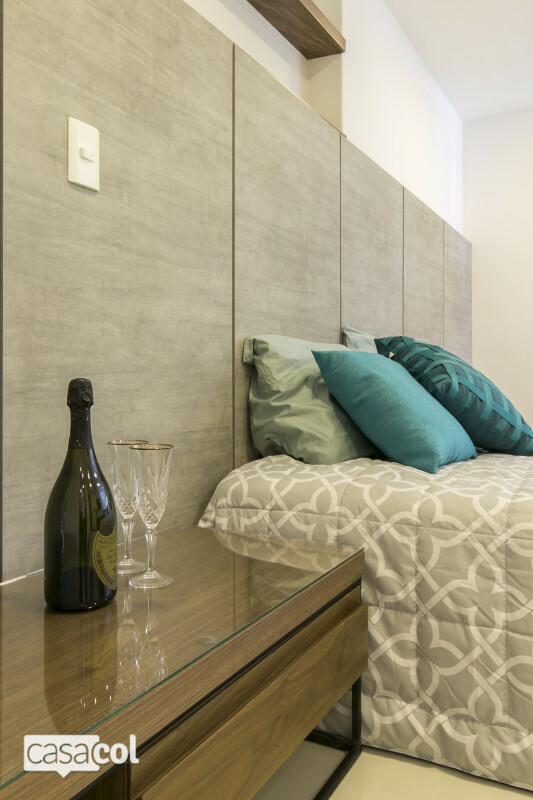 It’s also a stone’s throw away from popular nightlife areas of Parque Poblado, Parque Lleras and Provenza. 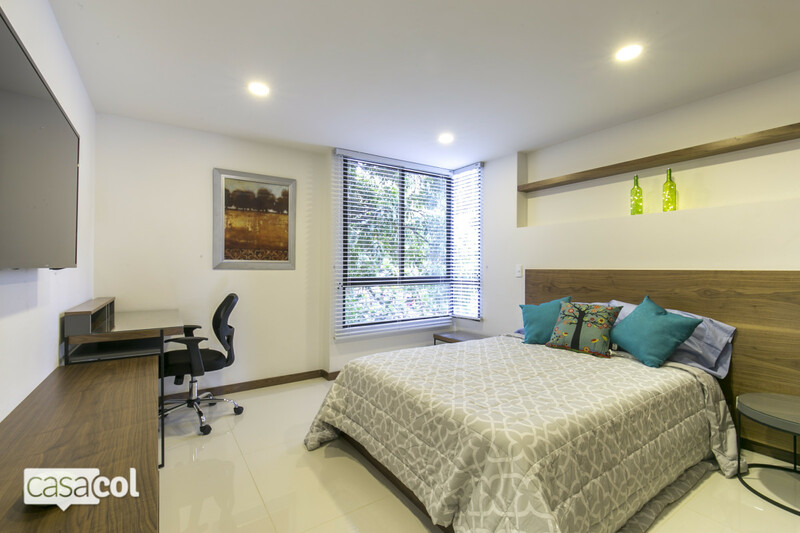 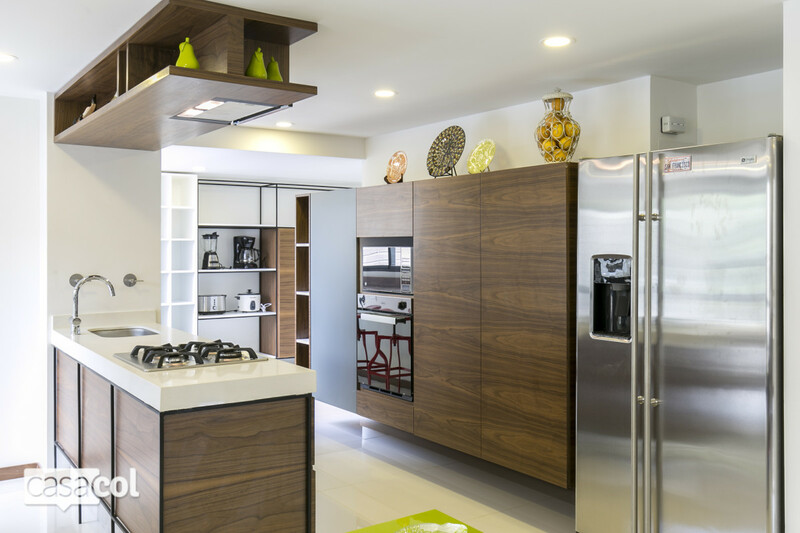 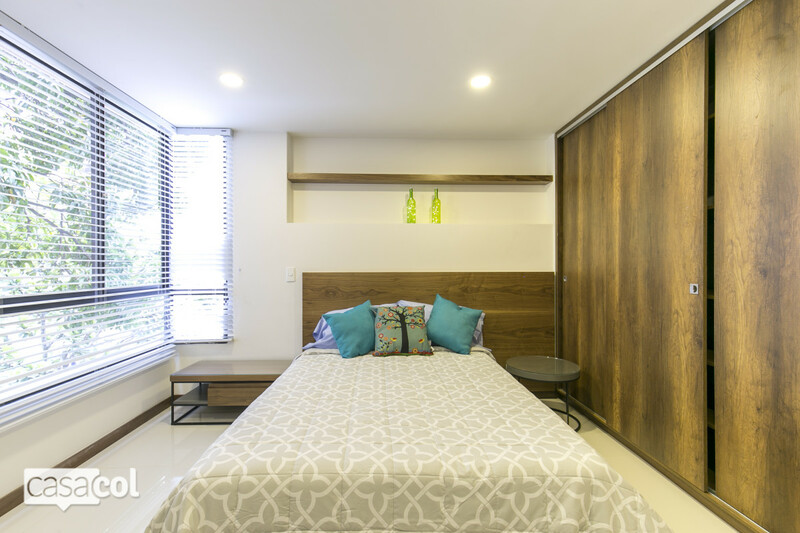 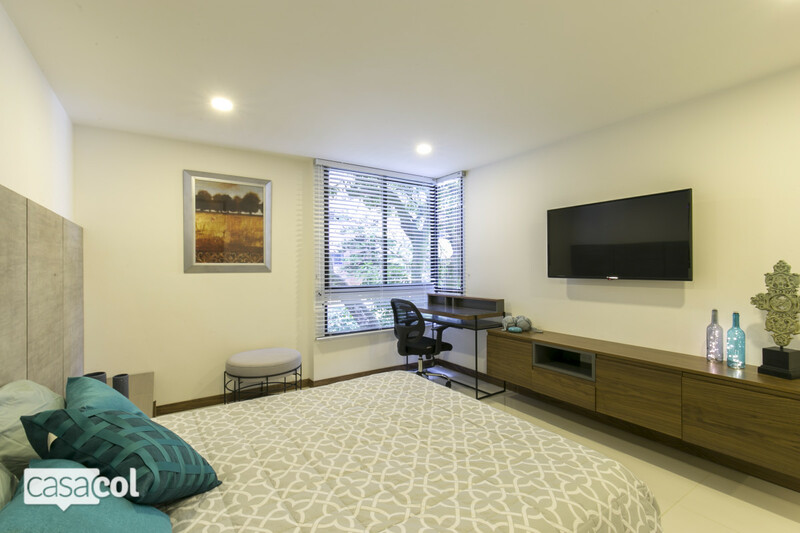 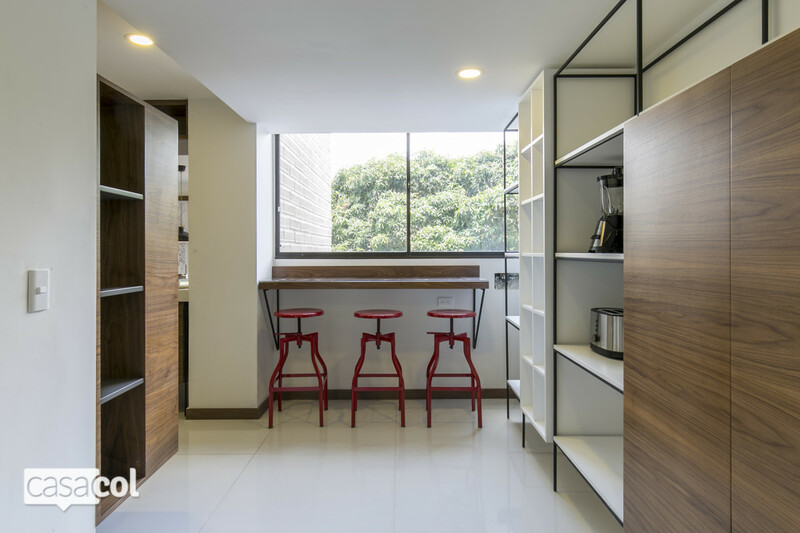 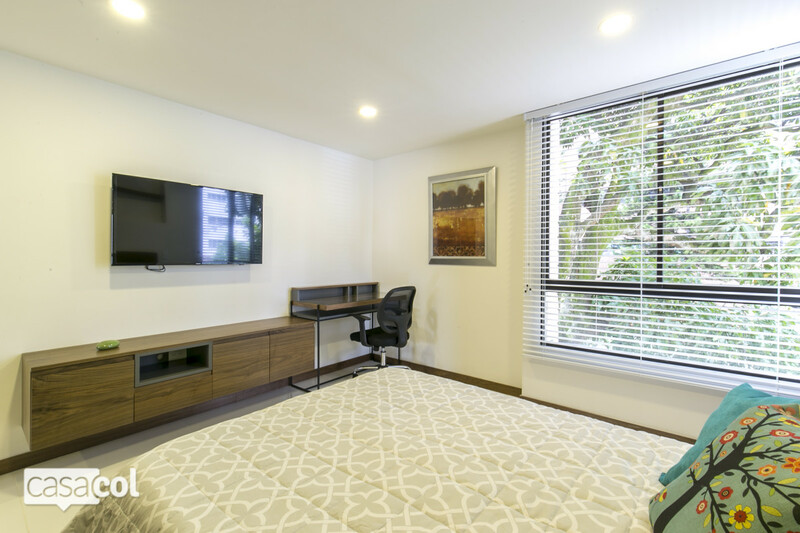 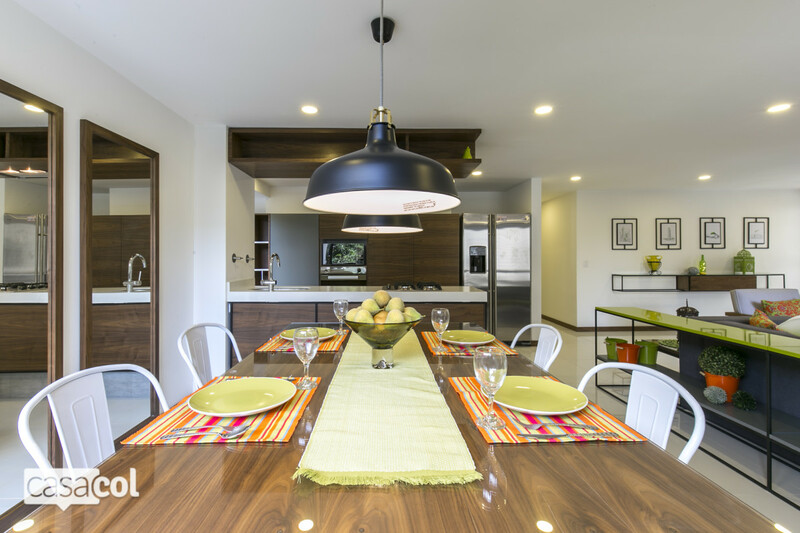 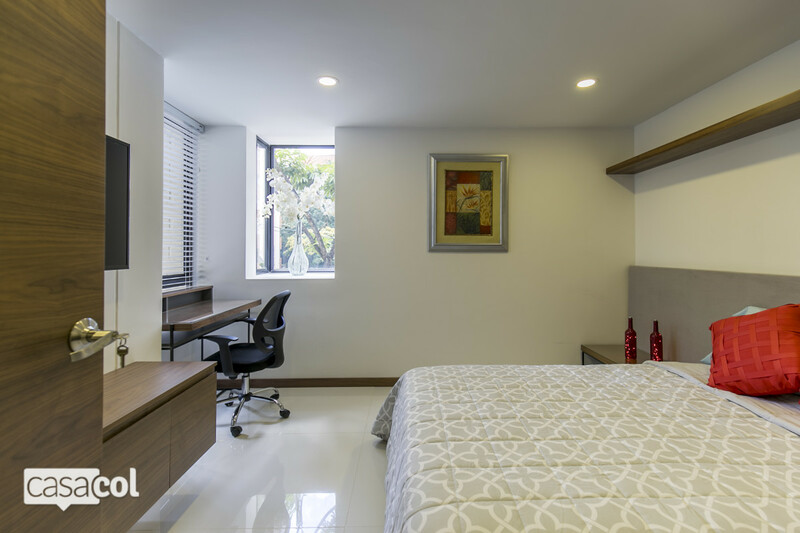 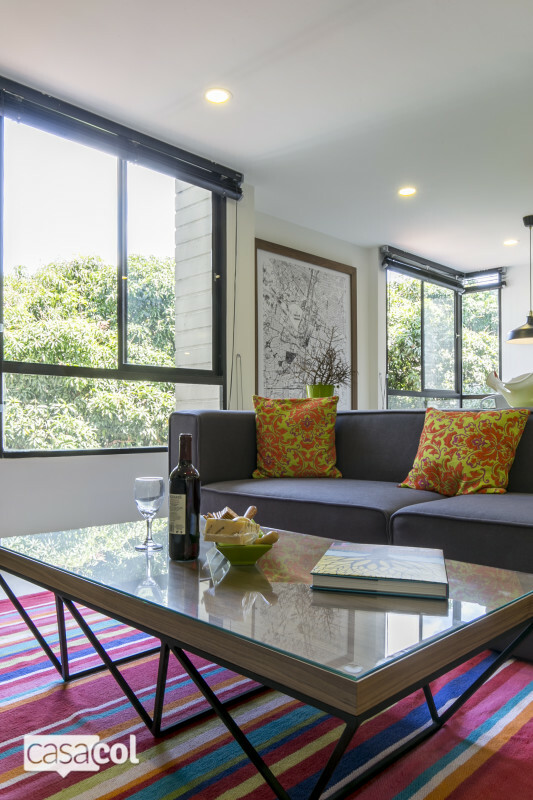 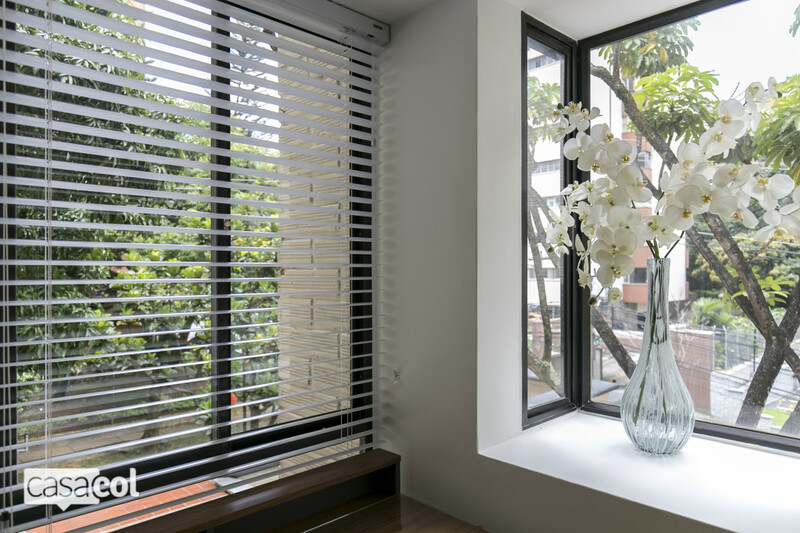 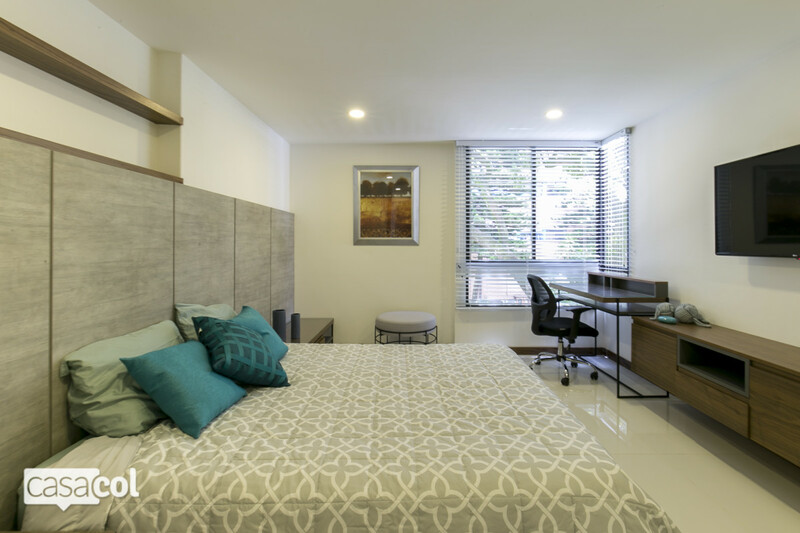 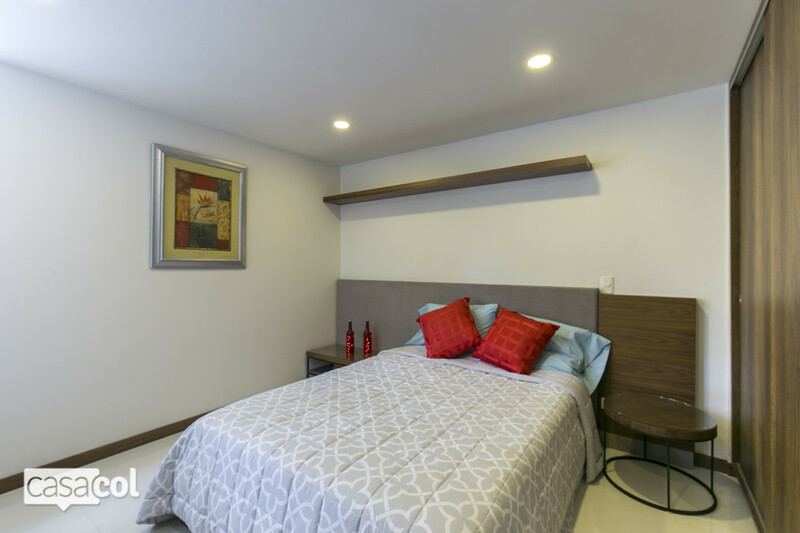 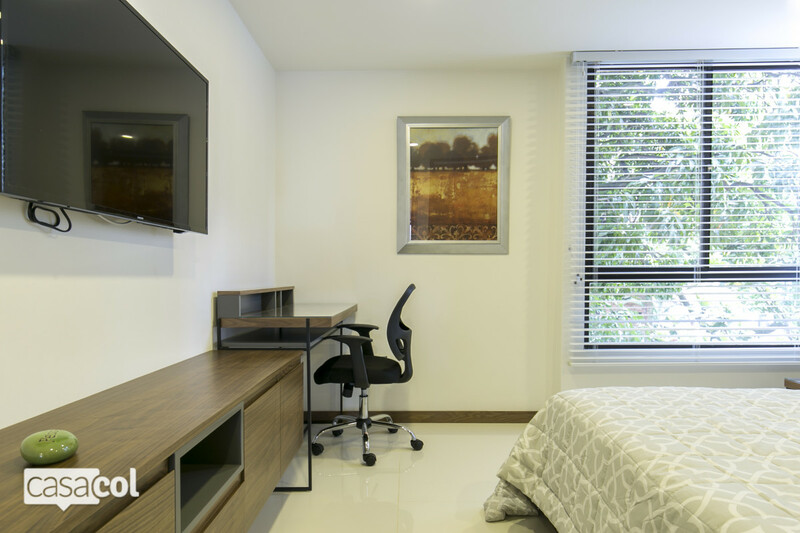 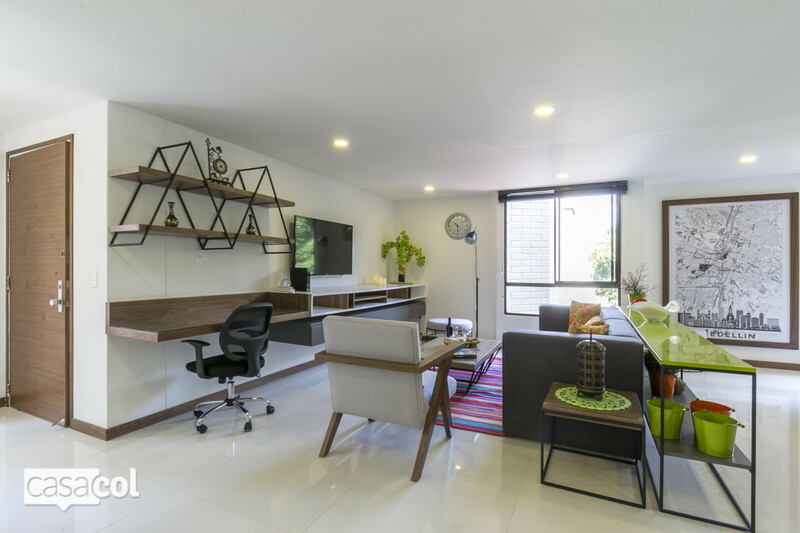 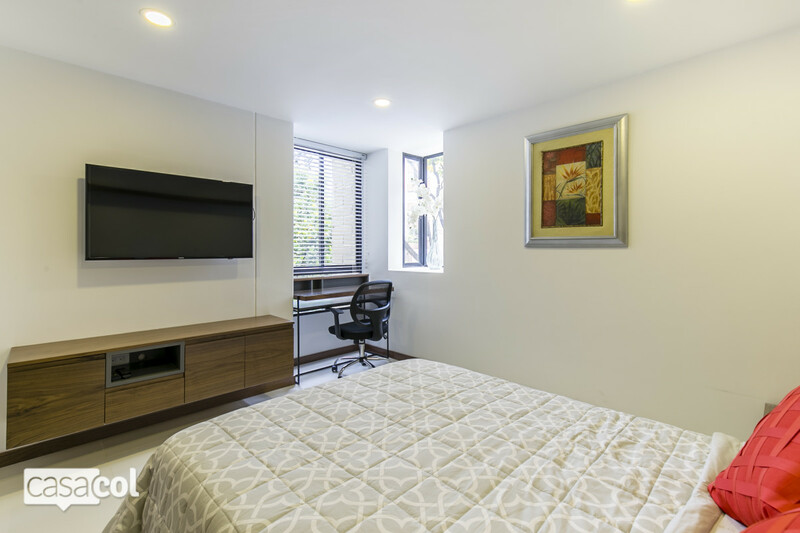 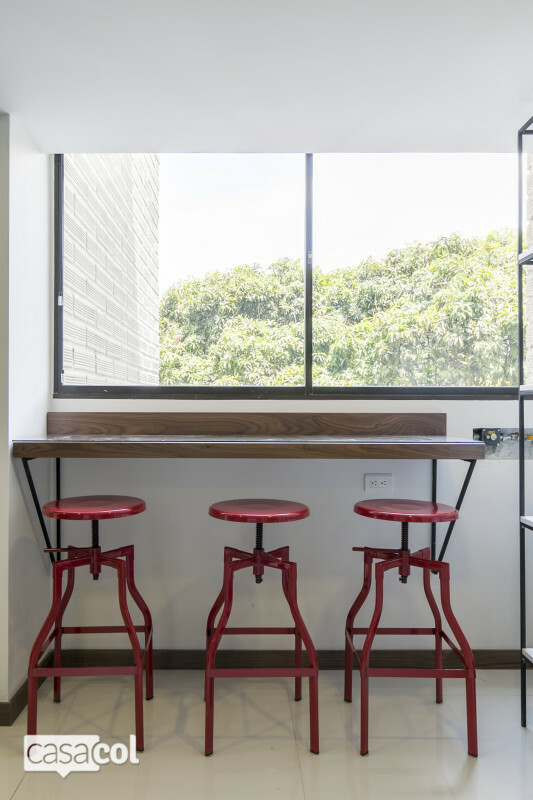 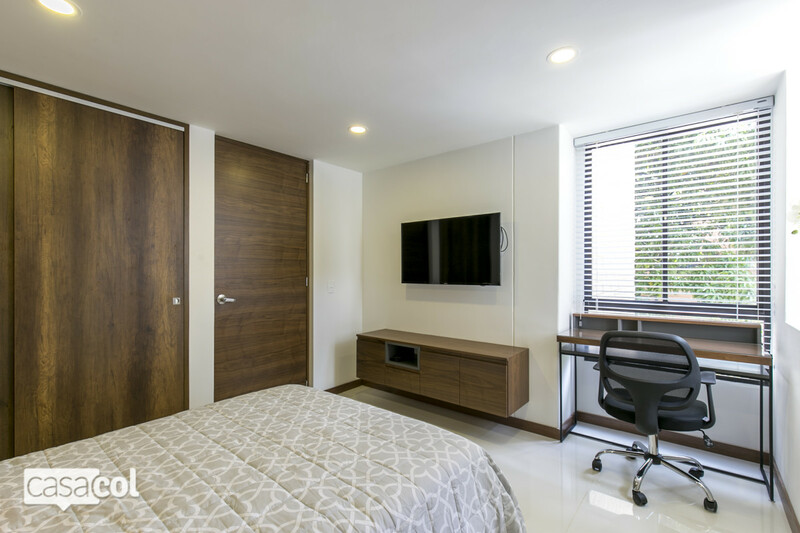 This ideal location is also in close proximity to medical clinics, banking services, restaurants, grocery stores (including Exito and Carulla), and the Poblado metro station. 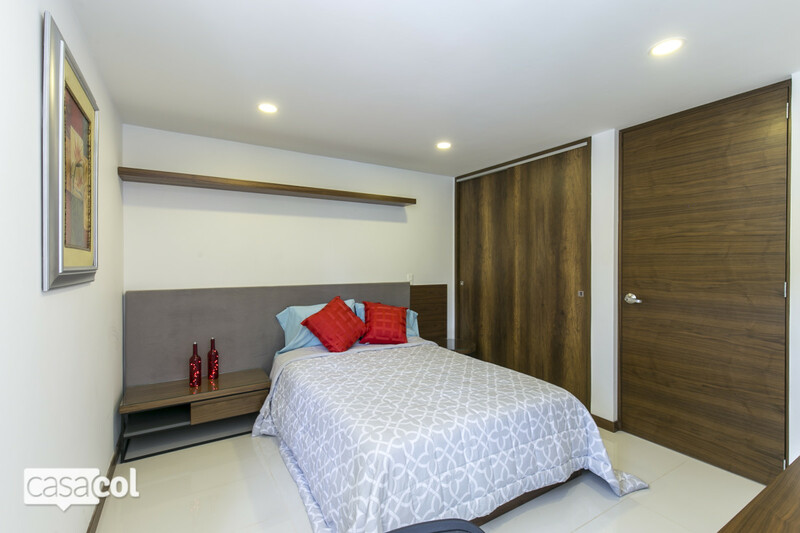 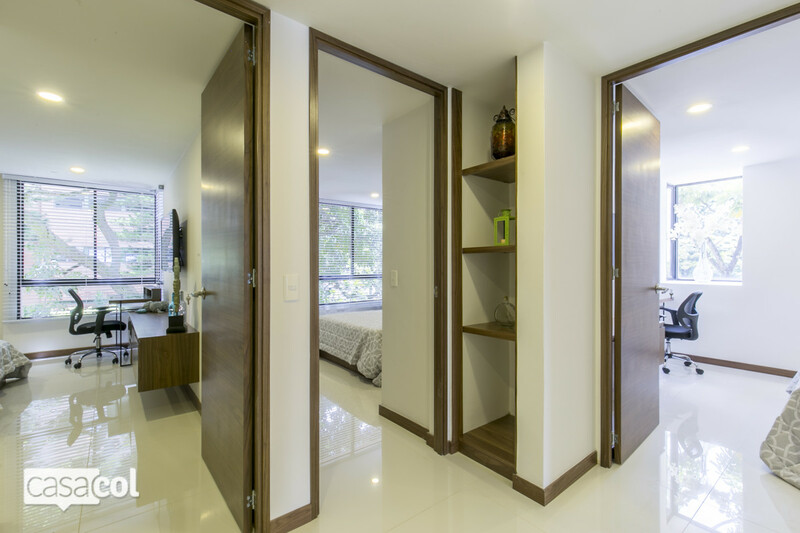 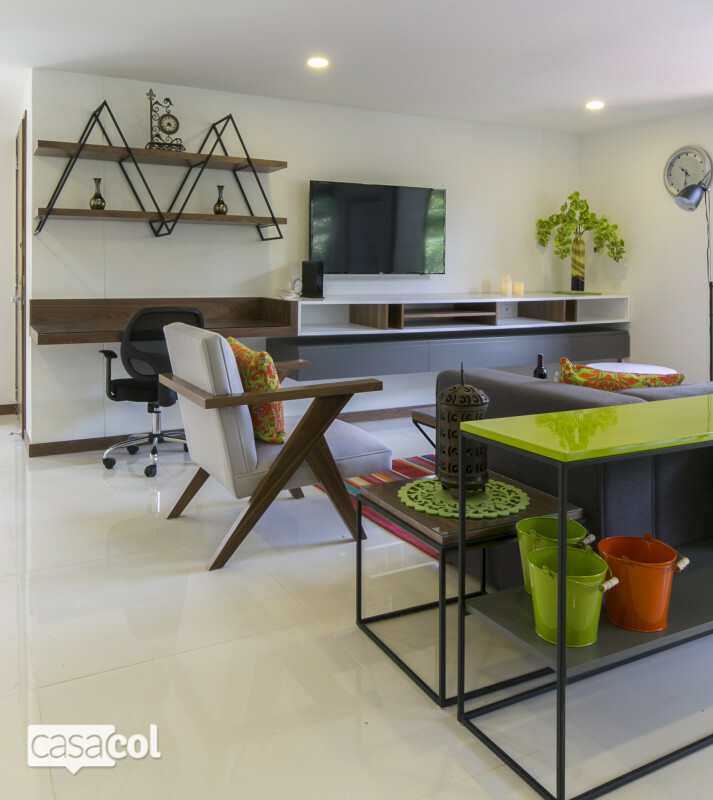 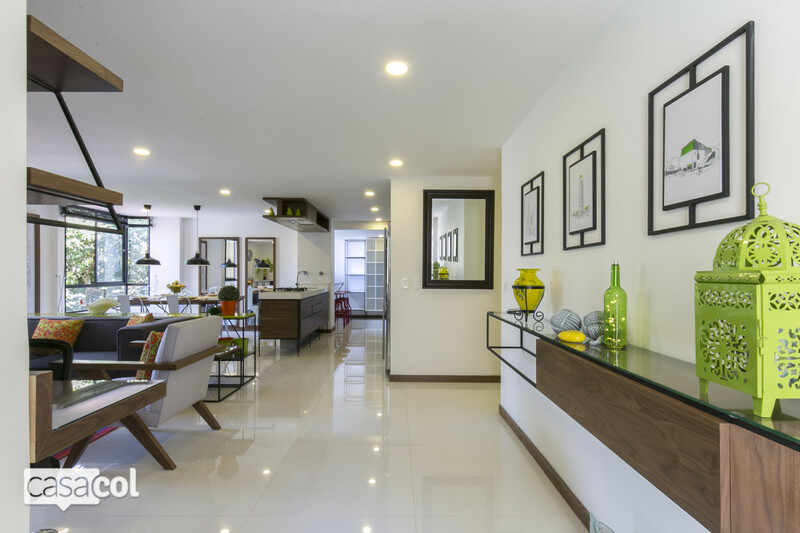 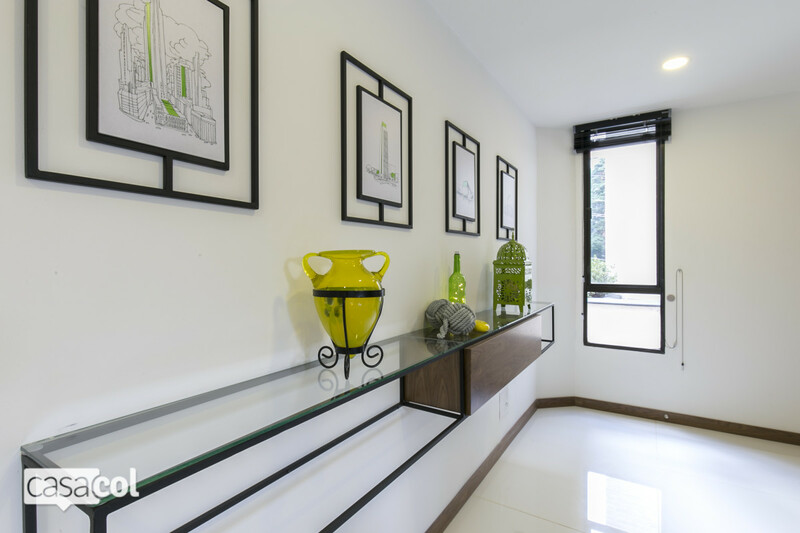 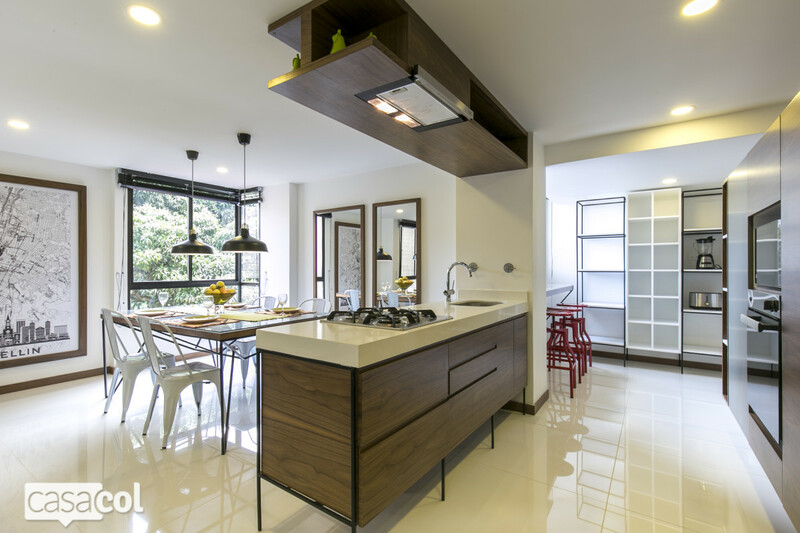 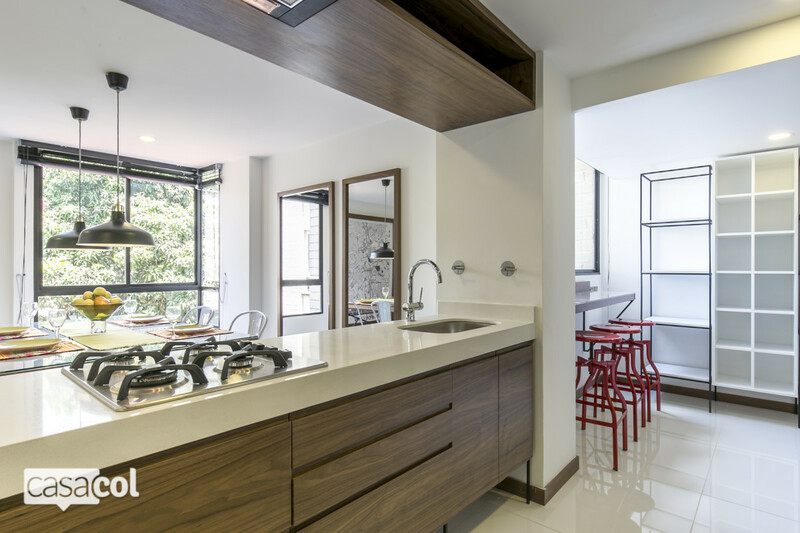 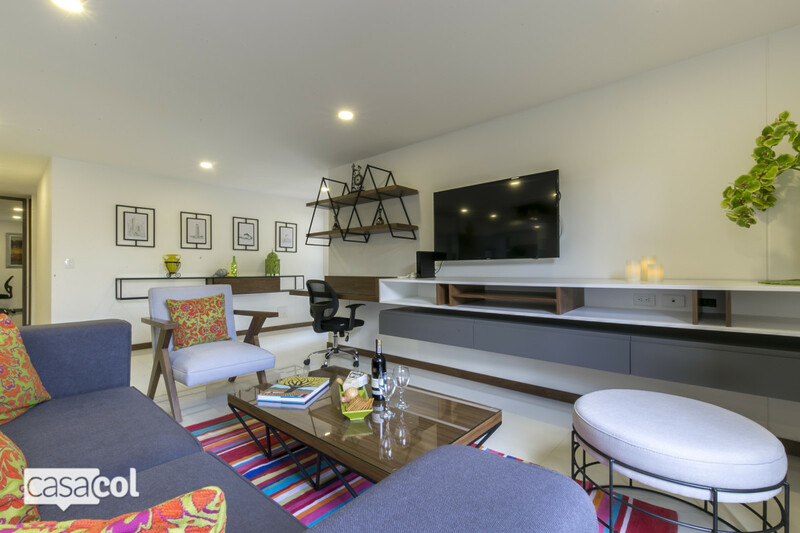 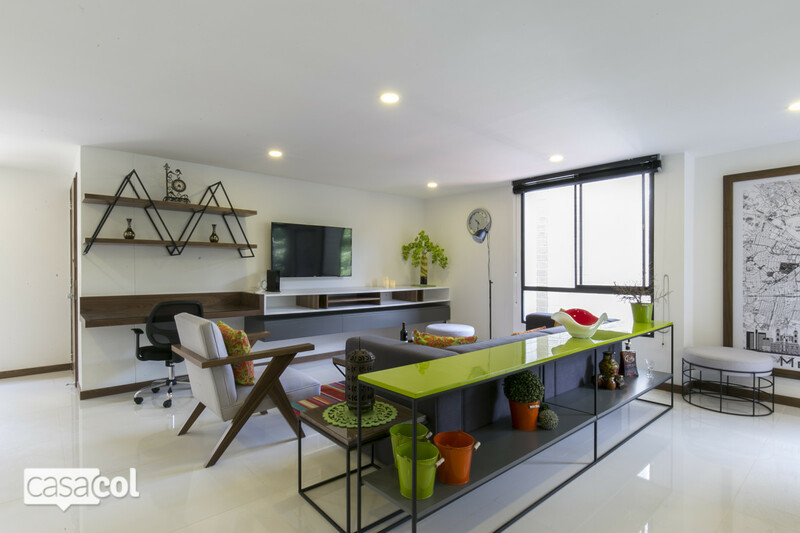 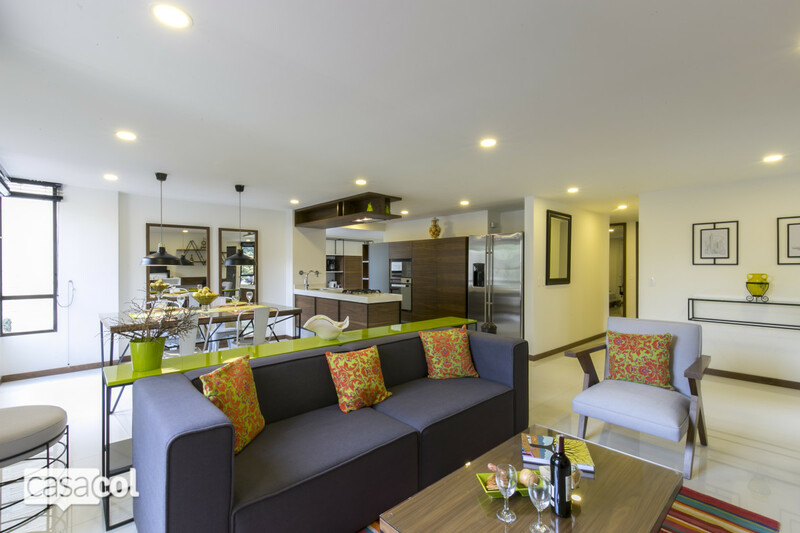 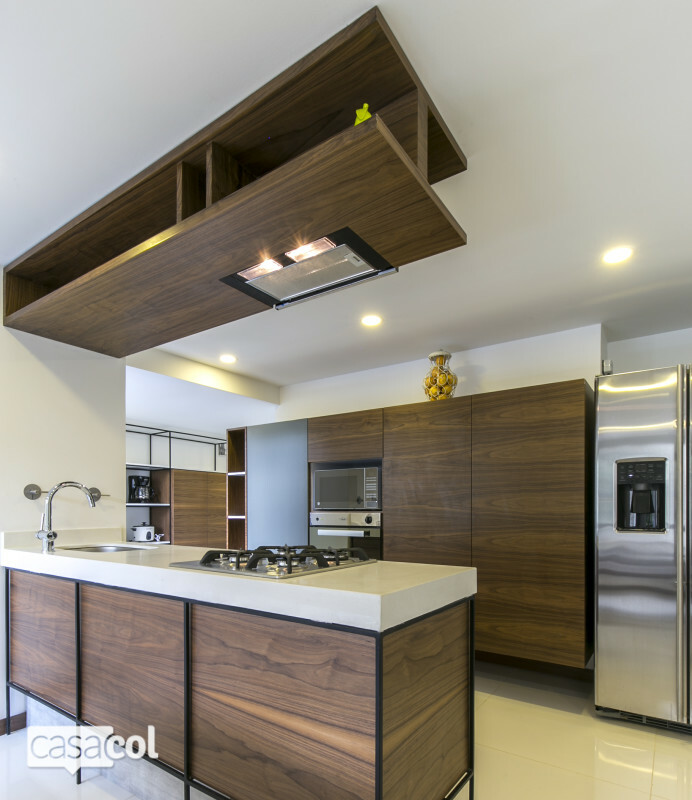 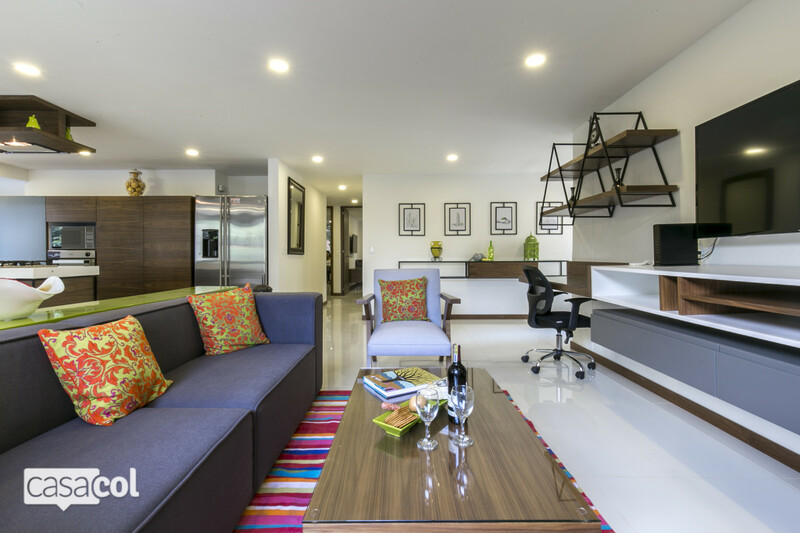 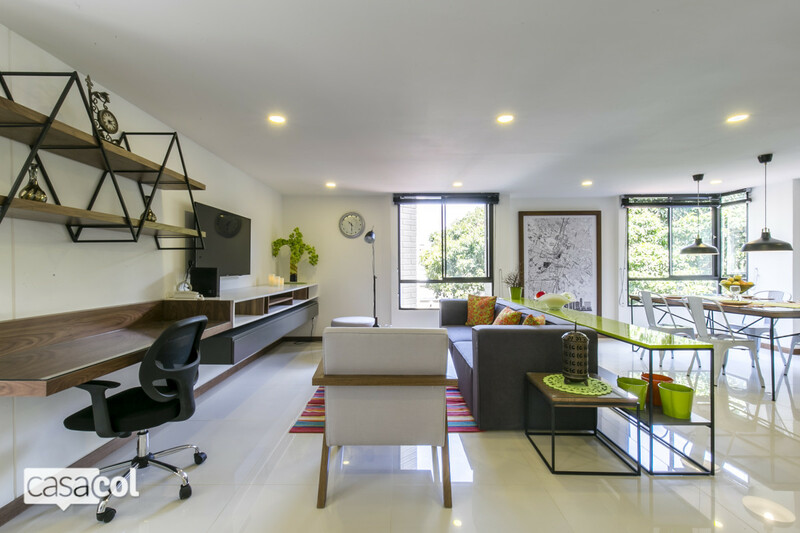 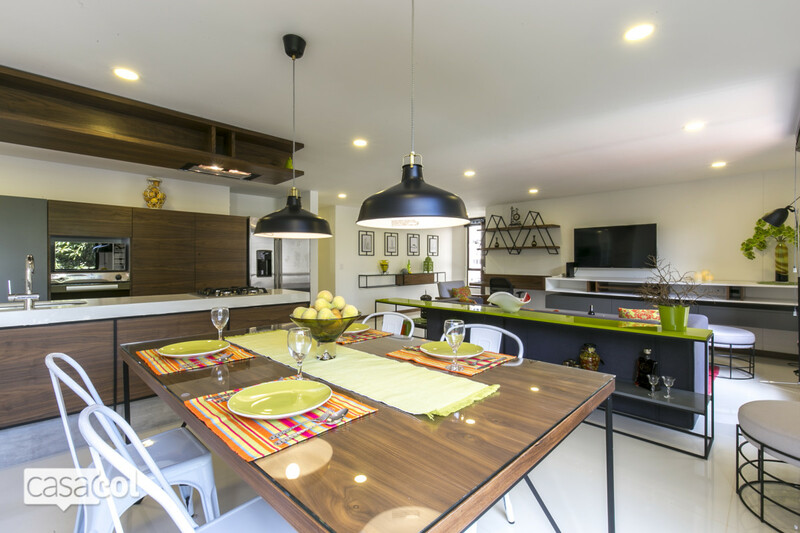 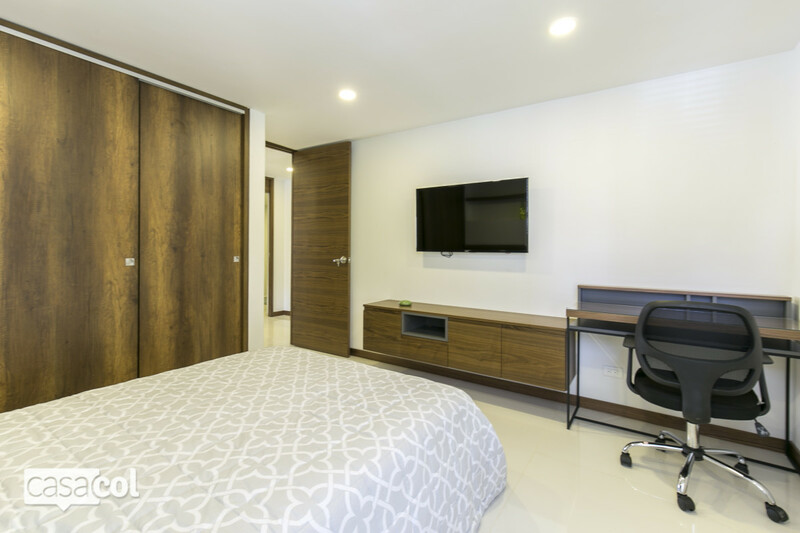 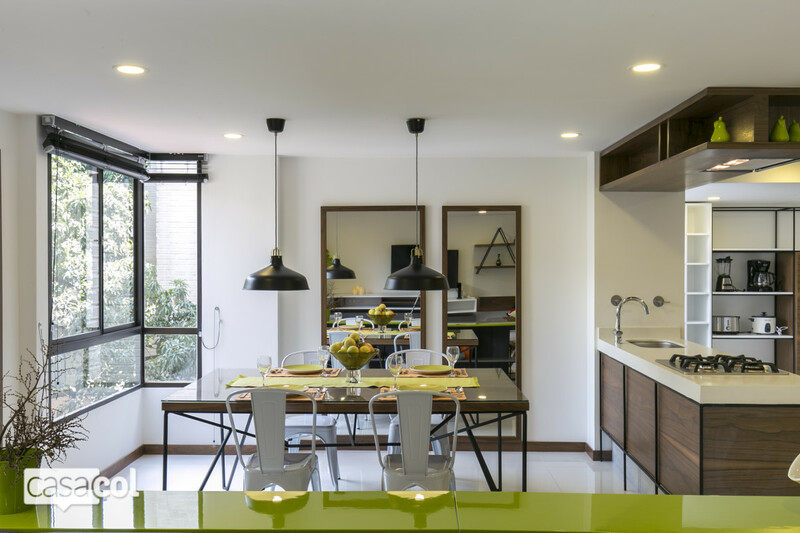 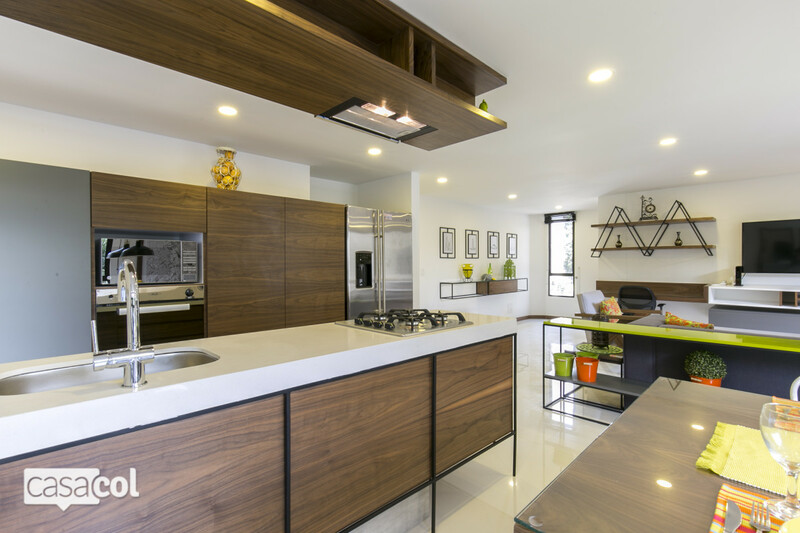 This 3 bedroom/2 bathroom apartment is expansive by Medellin standards at 1410 square feet (131 square meters). 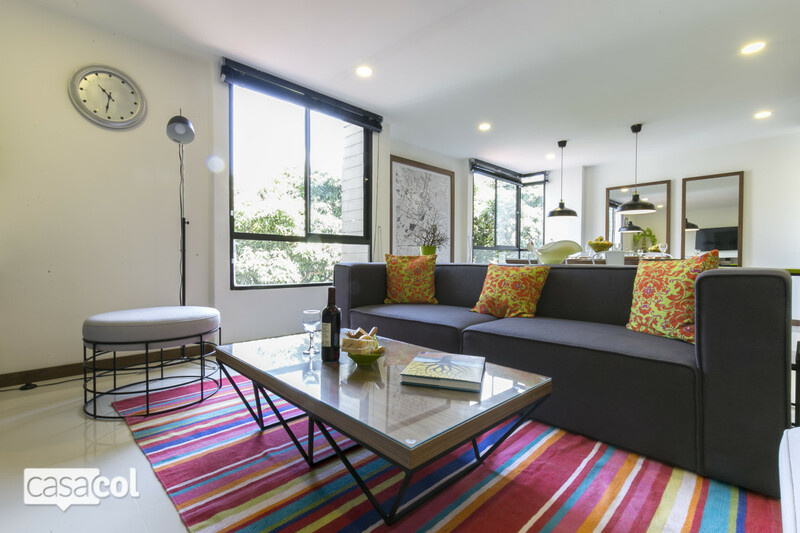 No expense was spared in the 2018 renovation of this apartment including a large open living room, dining room and luxury kitchen area. 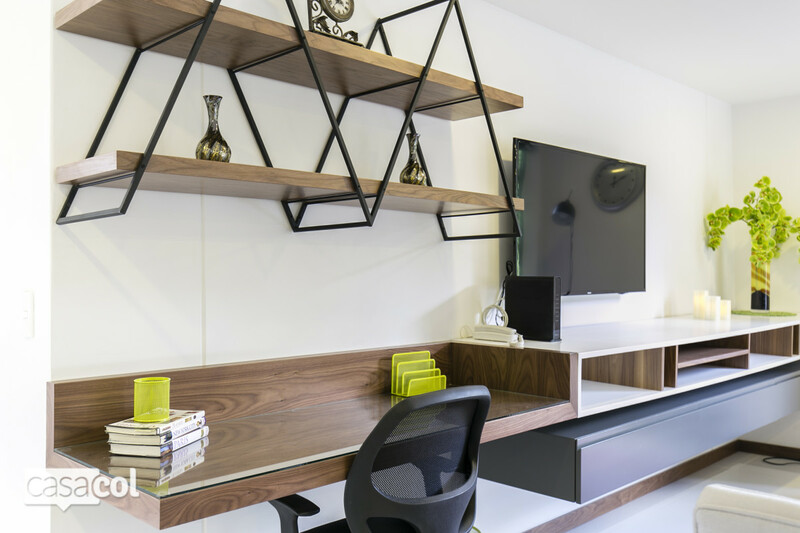 Modern touches throughout provide for a New York City “loft” feel, including a workstation in the social area. 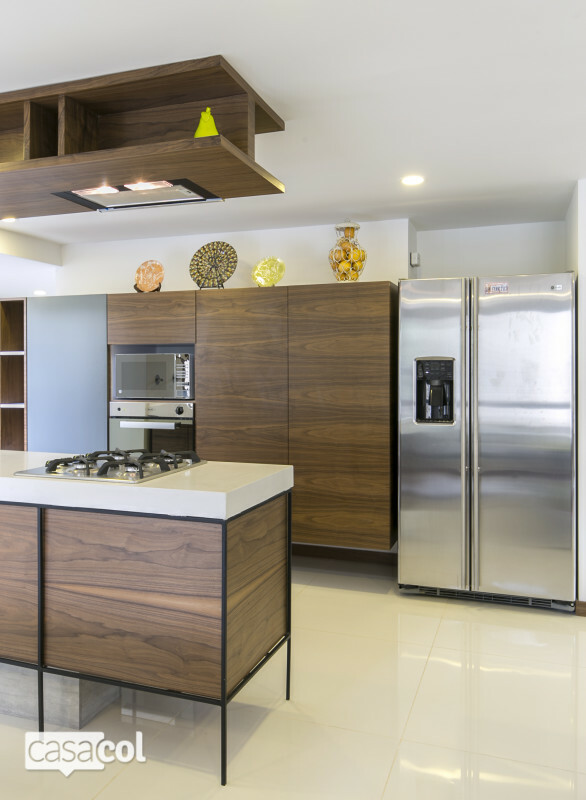 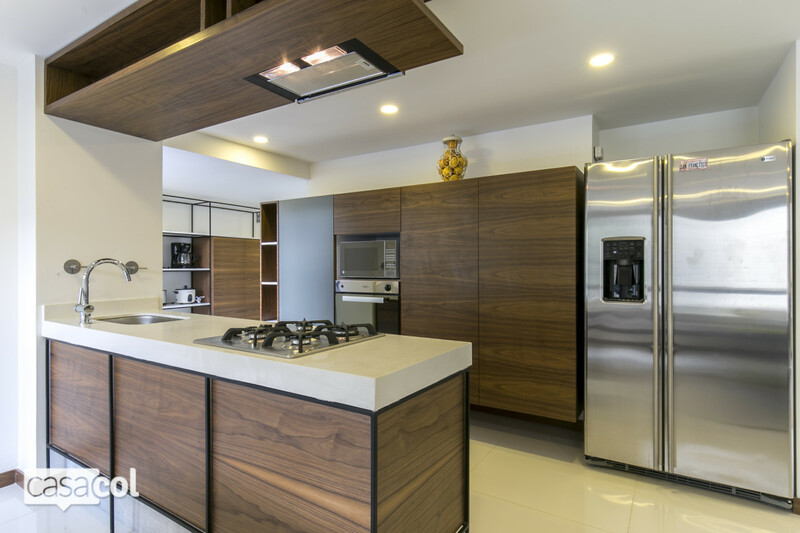 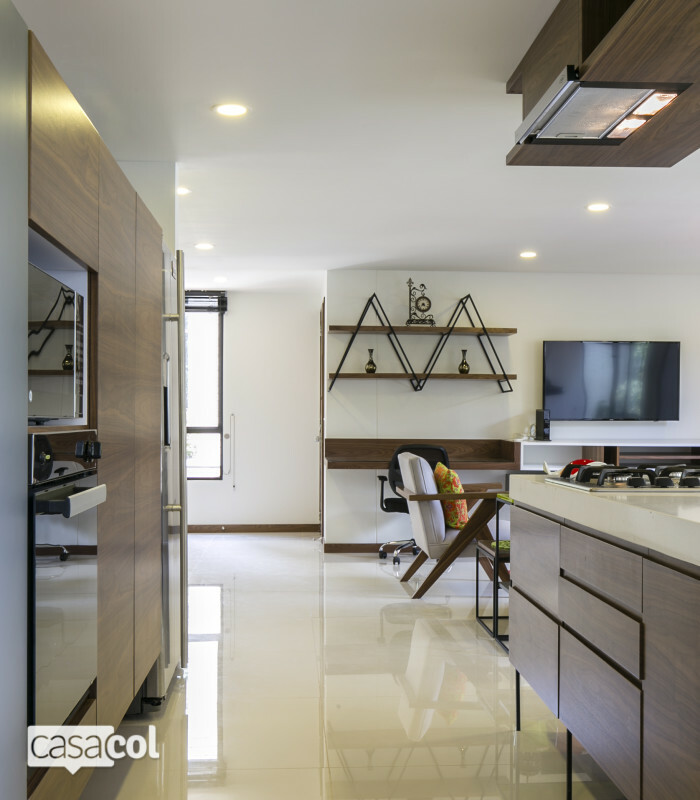 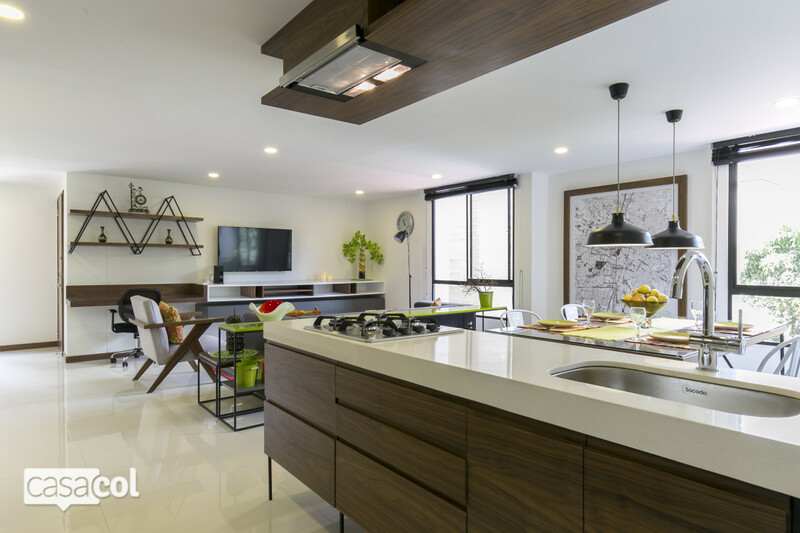 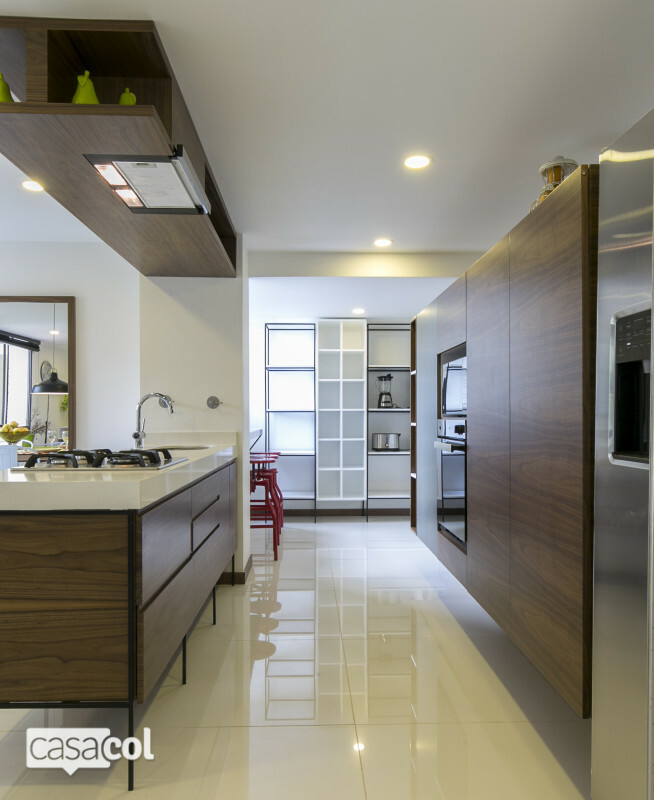 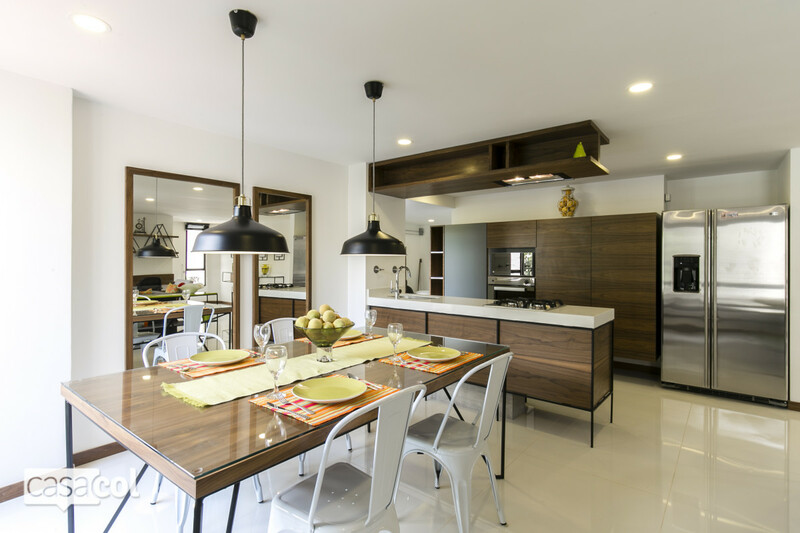 The kitchen is well-appointed with every modern convenience and is fully equipped with everything you will need to prepare gourmet meals. 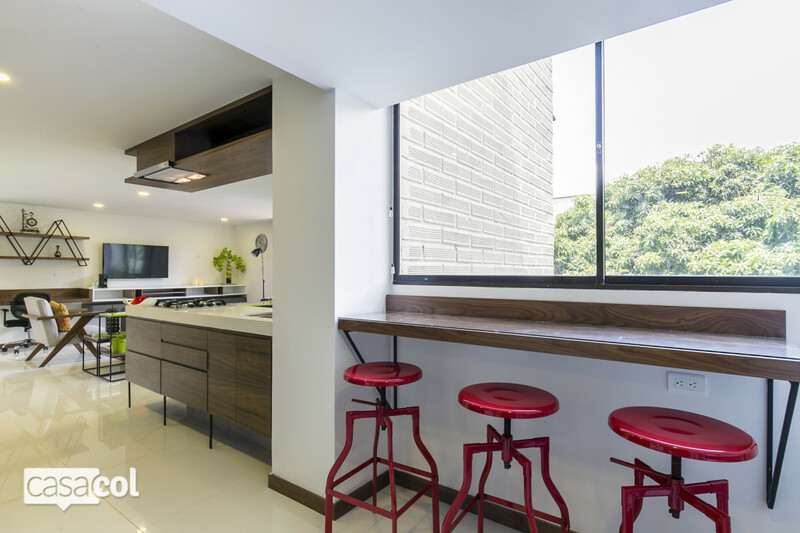 Off the kitchen are another large workstation area and a laundry area with a washer/dryer combo. 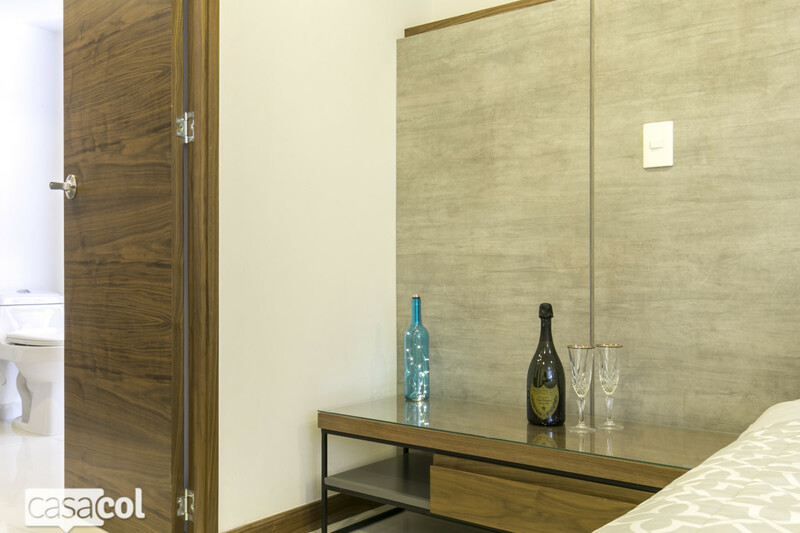 When it’s time to rest, there are three luxury bedrooms just down the hallway. 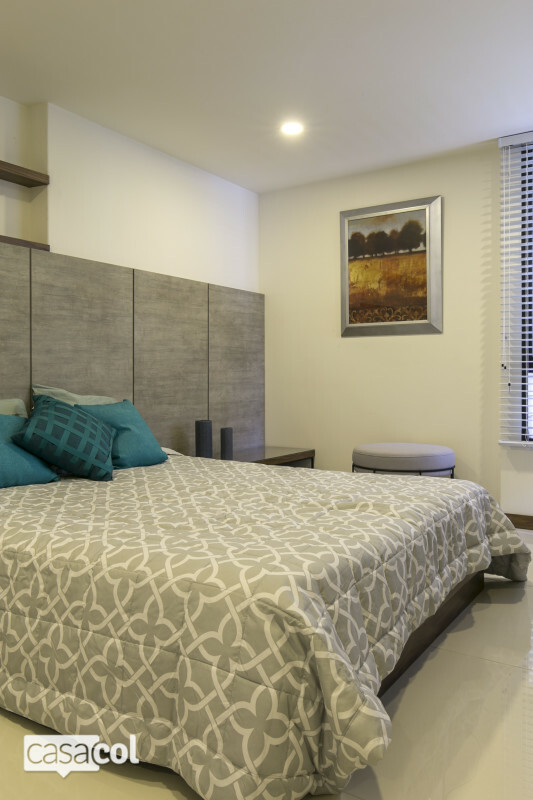 Each includes new plush mattresses and linens. 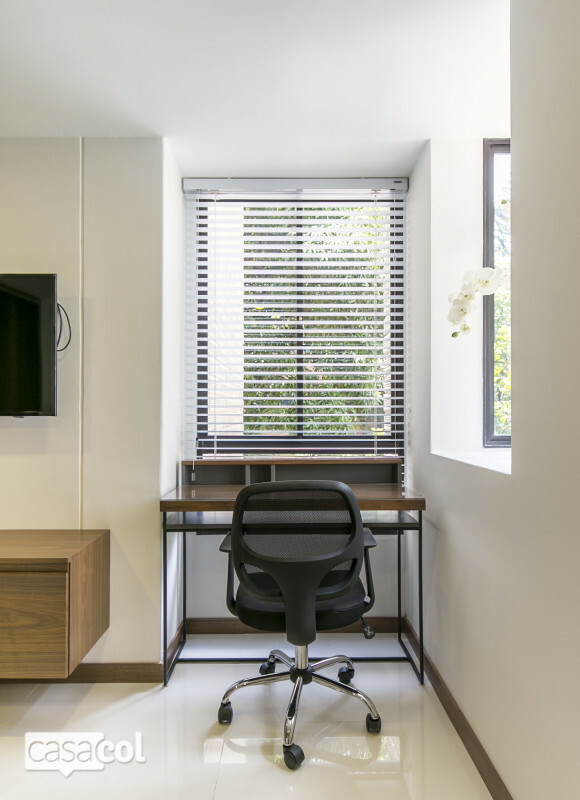 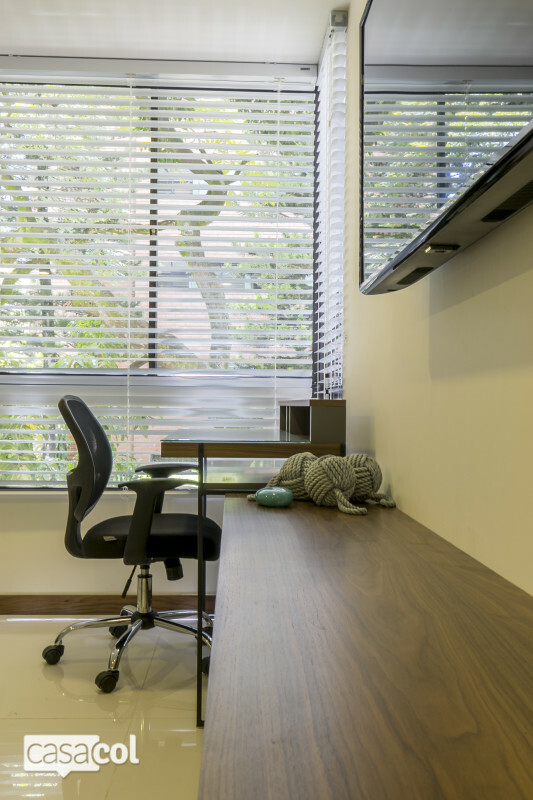 And each bedroom has its own workstation which is perfect for the business traveler or “digital nomad”. 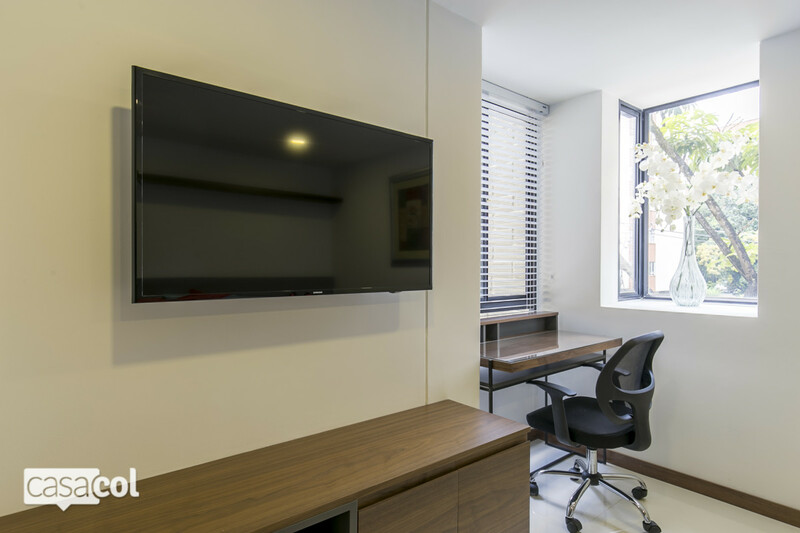 In addition to a flat screen TV in the living room, each bedroom has its own flat screen TV. 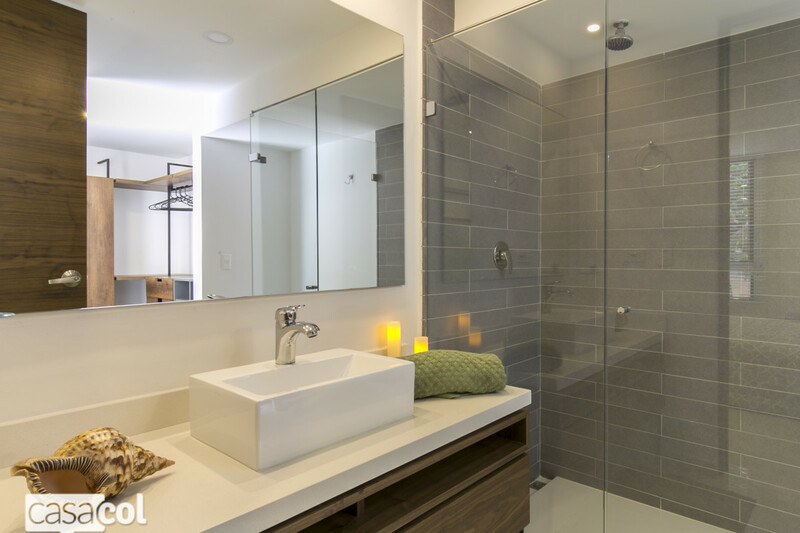 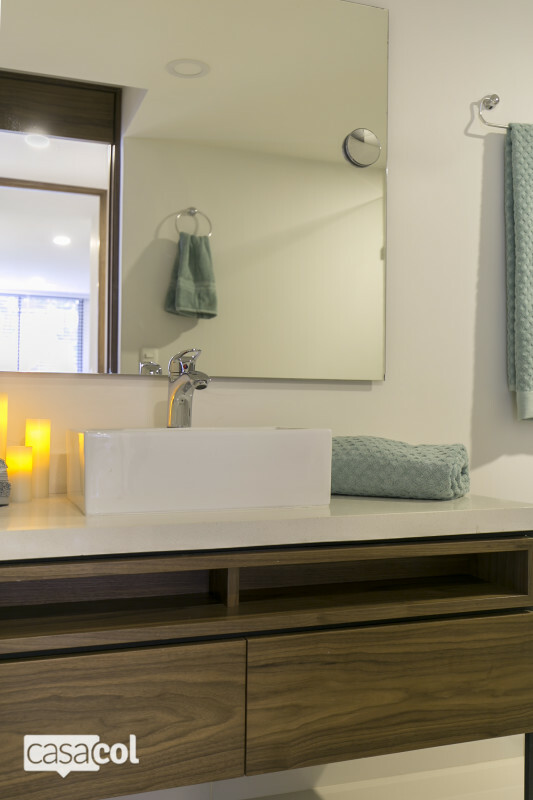 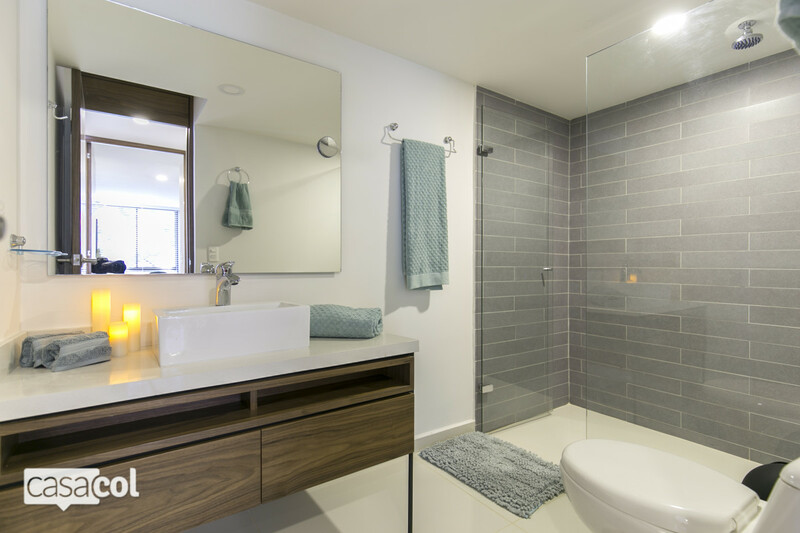 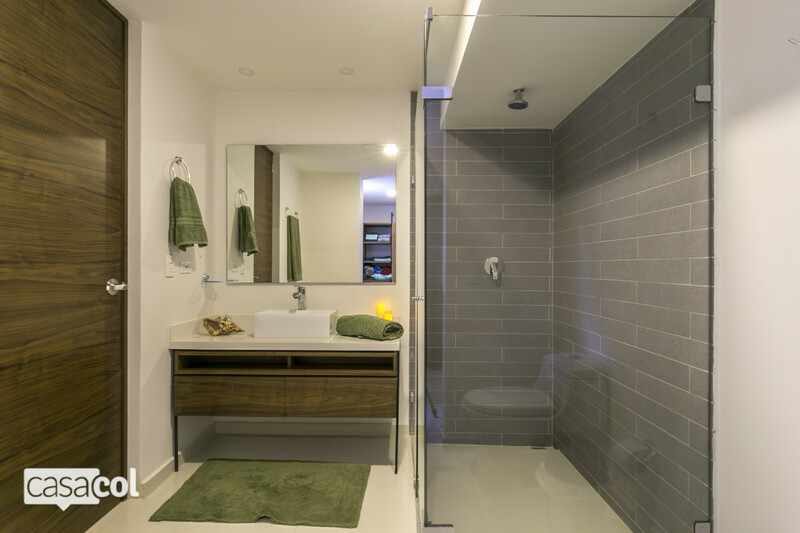 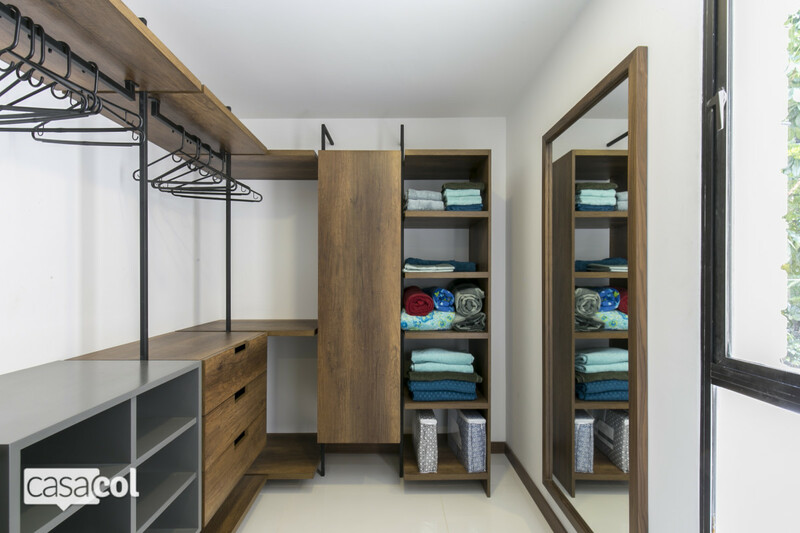 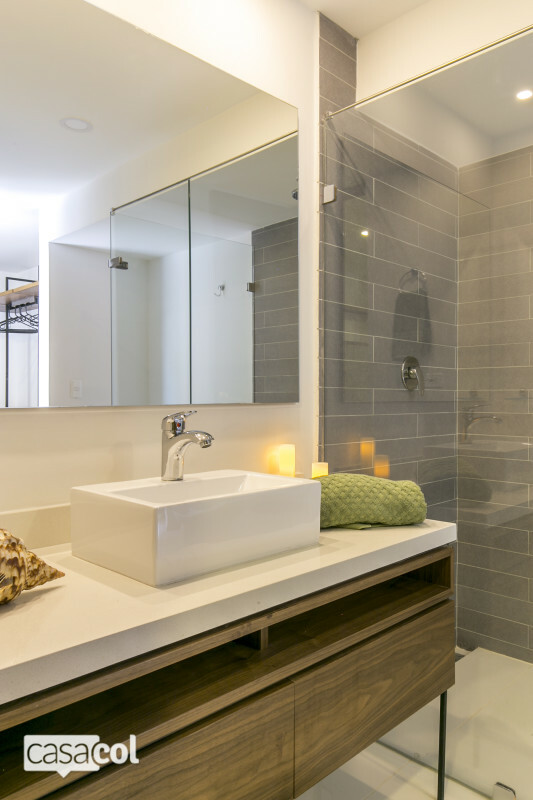 The master bedroom has its own luxury bathroom and adjoining custom walk-in closet. 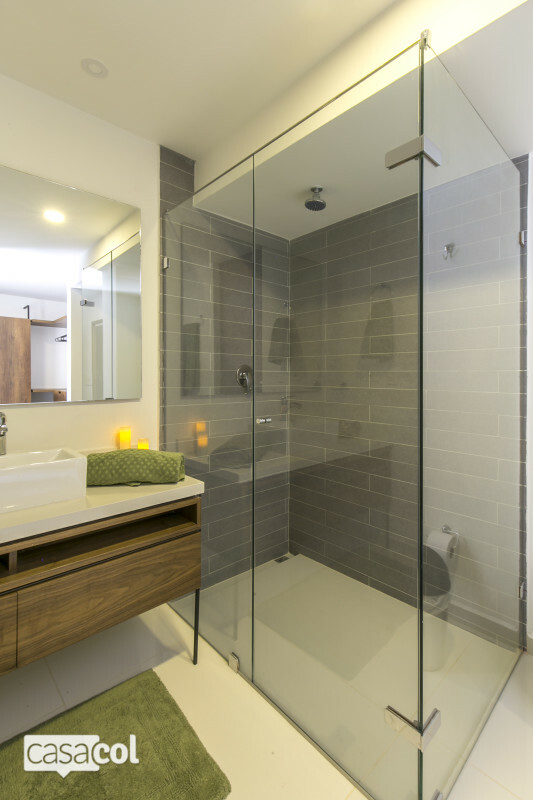 There is also a second luxury bath for the remaining two bedrooms to share. 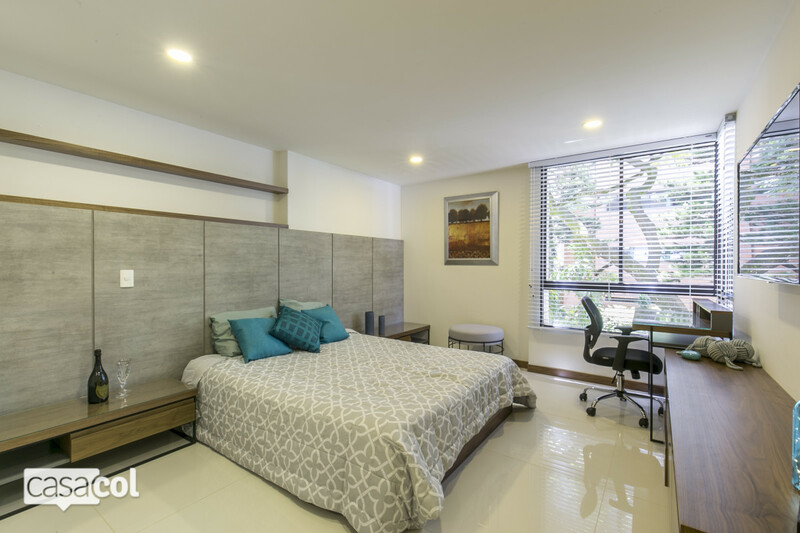 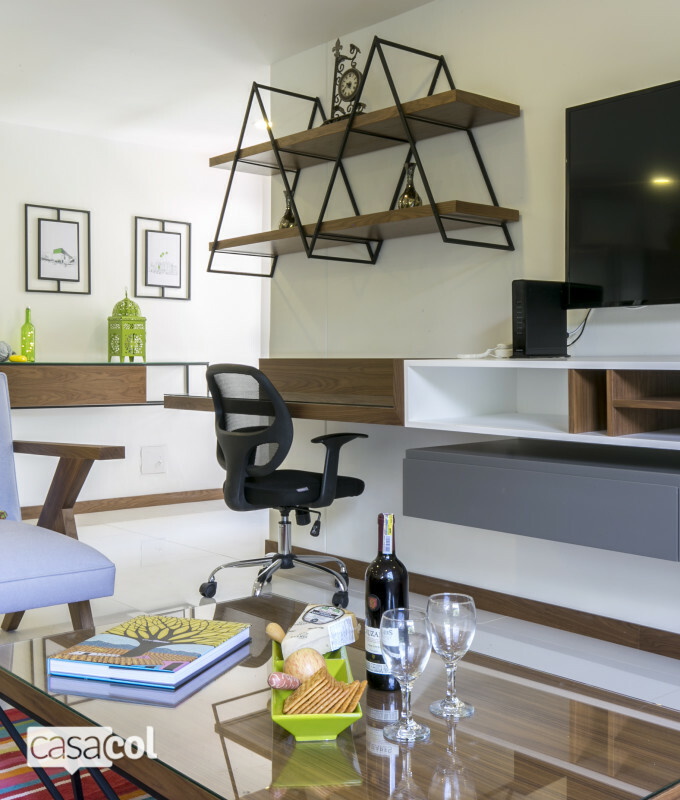 Whether you are visiting Medellin for business or pleasure, this apartment is the perfect oasis for you!